Have you ever gone out for a bowl of ramen and wondered how they manage to cut the soft-boiled egg in half without making a mess of the yolk? The question has certainly crossed my mind, so I seized an opportunity to ask a waiter at a local izakaya. He explained that it’s done with either dental floss or fishing line. Brilliant! But the problem is I use mint-flavored floss and I don’t fish. Besides that, the line would have to be held under tension, and I have neither a third hand nor the desire to drive a nail into my counter to secure the end of it. There must be another solution! 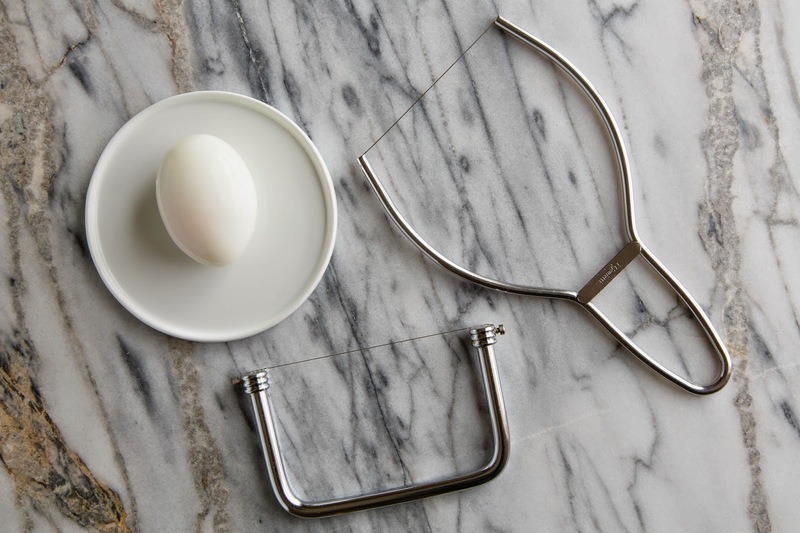 Enter the cheese harp, a handy little tool used for cutting soft cheeses. Turns out it’ll do a bang-up job on bries and blues and soft-boiled eggs too. 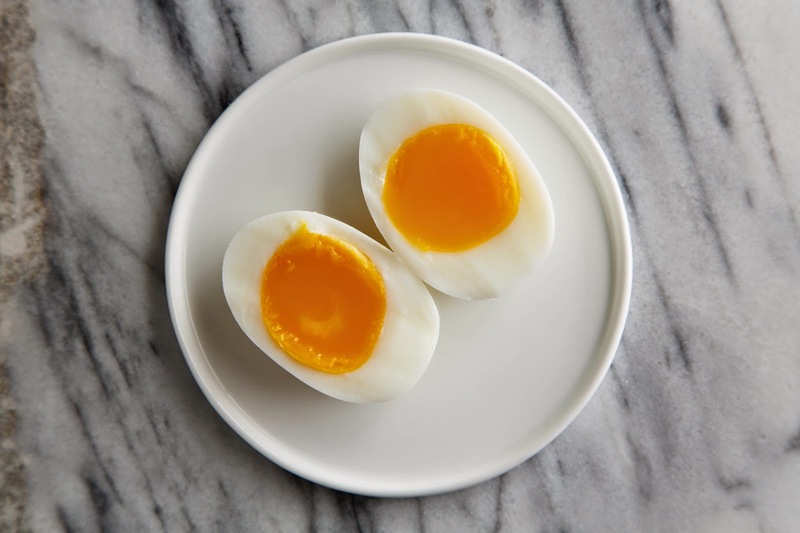 Not a drop of yolk is spilled to mar the white, which makes for a smart-looking presentation. 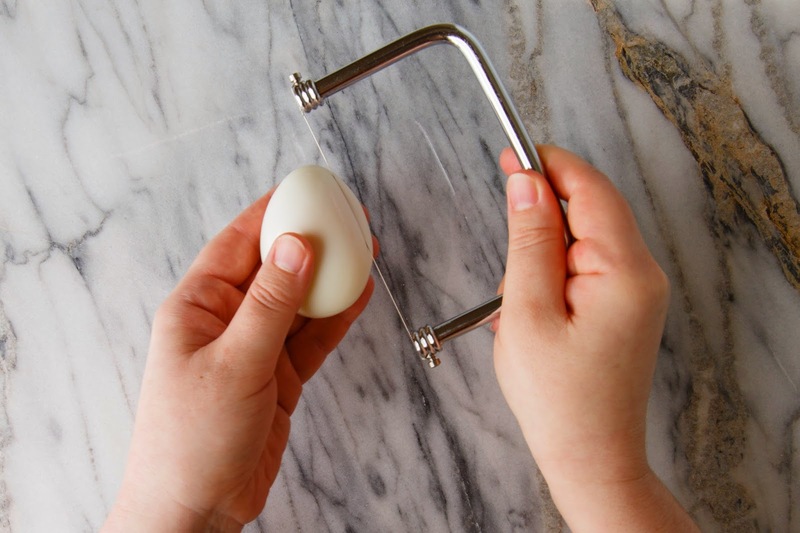 So there you have it, a cheese harp is the secret to making a perfectly bisected soft-boiled egg to top a bowl of ramen. Get your own cheese harp here. They’re also available from time to time at HomeGoods.